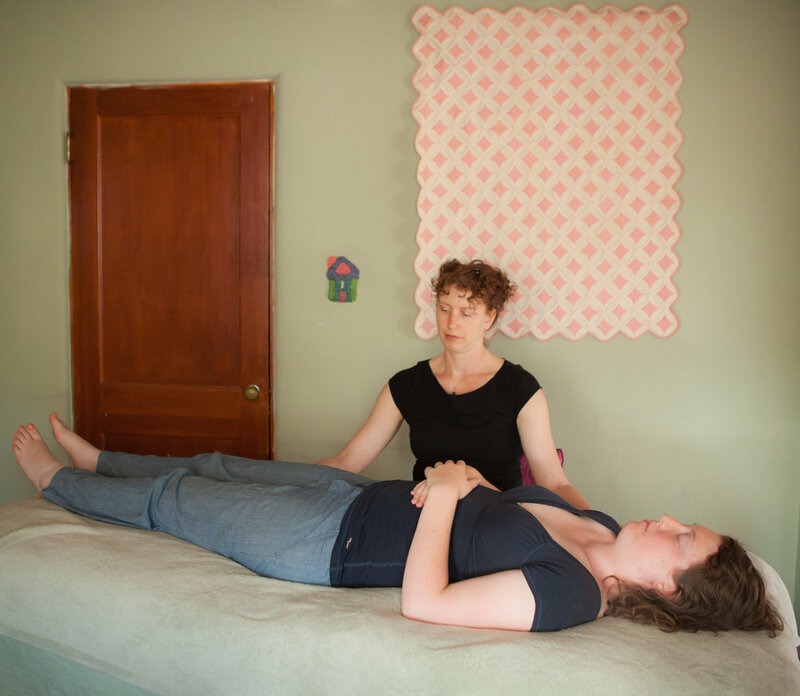 “Integrative Therapy” describes the scope of the healing arts work I offer in private sessions. These sessions can seamlessly include any of my modalities, skills and principles as they are called on to meet a given need that is arising from you—physically, emotionally, spiritually, energetically. “Integration” also refers to one of the key principles of my work: embodiment—also known as wholeness. The degree to which we are embodied is the degree to which we are healthy—or unhealthy (you can read my blog post about this here). I see this in everyone I work with, from newborn babies to practitioners in my yoga classes (animals too!). When all of you is in synchronization and alignment—not just your bones, but your awareness, your psyche, your body, your path in life—health becomes radiant and full. This is an exciting and inherently co-creative way to work with you that supports your transformational process on multiple levels. This dynamic approach allows me to meet your dynamic experience as a human being. These sessions are surprising and powerful, intimate and effective, resulting in your healing, wholeness and empowerment.